Includes bearing and tool kit. 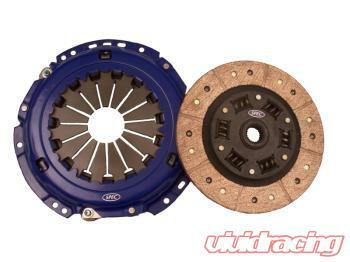 (application dependent) These units fit TDI OEM dual mass flywheel w/ 220mm Luk style clutch. These kits bolt to the stock dual mass flywheel. The SV21A and SV21S are for use with Spec high clamp VR6 units as a 9in upgrade from the oe 8.75 for all VW 1.8T cars. The SV21A weighs 7.5 lbs and SV21S weighs 12.5 lbs. A stock dual mass is also available for an extra $150 over the clutch cost.